MAC Foundations can be confusing as they now have so many and sometimes people aren't sure which one is for them. 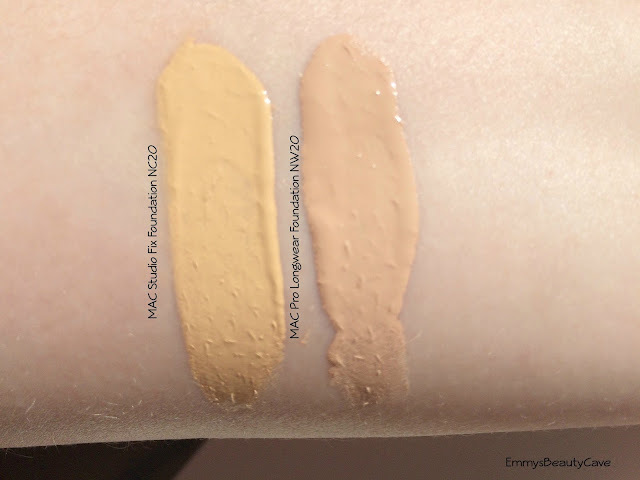 I thought I would compare the MAC Pro Longwear Foundation against the MAC Studio Fix Foundation and also compare the shades for you. I do adore both of these foundation but for very different reasons. MAC Pro Longwear | The bottle is glass like the majority MAC Foundations and the best part about this one is that it comes with a pump! You can twist the pump to lock and unlock it which I really like if you are travelling. MAC Studio Fix | Again this bottle is glass but doesn't come with a pump! I bought the pump for this one as it just makes life that little bit easier. You can buy the pump directly from MAC or you can get one off Ebay or Amazon. The only thing I don't like is once you put the pump on you can no longer use the original lid for the foundation. 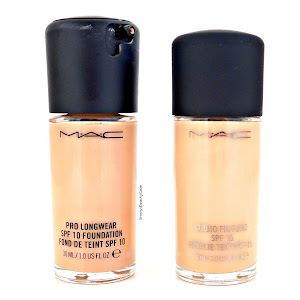 MAC Pro Longwear | This is a liquid foundation which has a light consistency. Even though it is a liquid foundation it doesn't run down your face when you are applying it. It feels very light on the skin. MAC Studio Fix | Again a liquid foundation. Even though this one has a slightly thicker consistency than the Pro Longwear this one is more watery/runny when you first pump it. MAC Pro Longwear | The coverage is definitely medium. I find when I apply this it covers redness and blemishes. 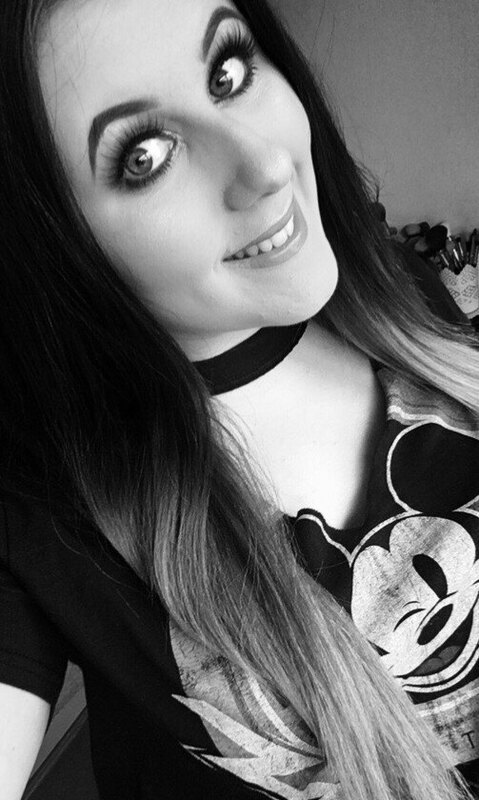 I do have freckles across the top of my cheeks which still slightly show through with this foundation. On the days my skin is clear this is perfect as it covers what I need to but I do still need concealer for my dark under eye circles. I wouldn't say this foundation is buildable, it is definitely just medium coverage. To add extra coverage I use the MAC Studio Fix Powder Plus Foundation over the top which creates a gorgeous finish. 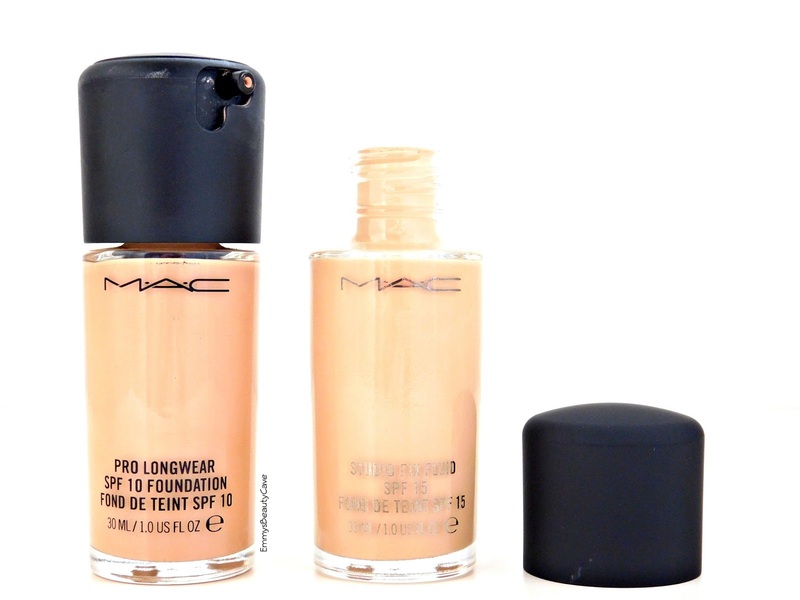 MAC Studio Fix | This is definitely a full coverage foundation. Some people say this foundation is heavy but I don't find this the case. I think it all comes down to what primer you use and how you apply the foundation. I find this best to apply with a damp sponge to get an even finish without being heavy or cakey. MAC Pro Longwear | I have extremely oily skin hence the reason I picked this up. The lasting power is amazing on my skin. I do find it can last better depending on which primers I use. So keep that in mind, a different primer can help the foundations longevity. I am extremely oily on my chin and nose and this really does help keep the oil away. MAC Studio Fix | I find even on my oily skin this also lasts really well. Because this is full coverage I always make sure I moisturise well and use a good primer to help the product last longer. MAC Pro Longwear | If you want the medium coverage i find this best to apply with a flat top kabuki brush, I use the Makeup Addiction Buffer Brush which is amazing! If you use a damp sponge/beauty blender it will definitely sheer out the coverage. 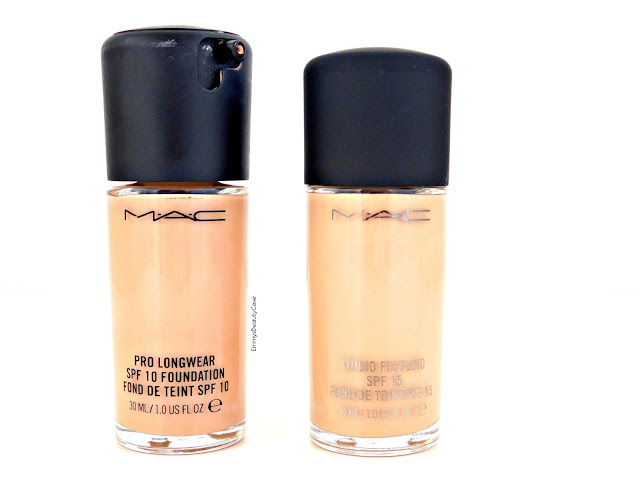 MAC Studio Fix | As this is a full coverage foundation you can apply it with a brush or a sponge. I apply this with a damp sponge and it creates such a flawless finish. If you want a slightly lighter coverage you can apply this with a duo fibre brush, I got a MAC Dupe off Ebay for around £3, just search Duo Fibre Brush on Ebay or Amazon. 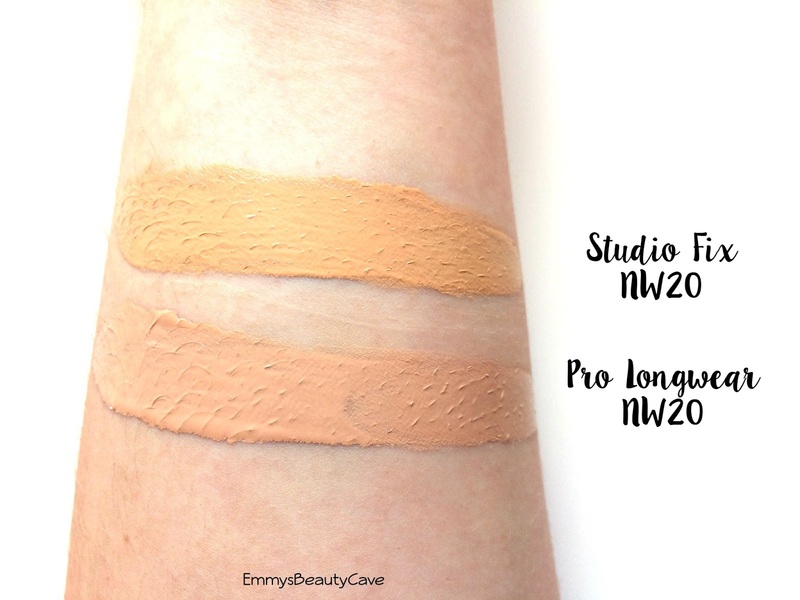 I am a MAC NW20 in the Pro Longwear Foundation but the NW20 in Studio Fix NW20 is not even close to the Pro Longwear. 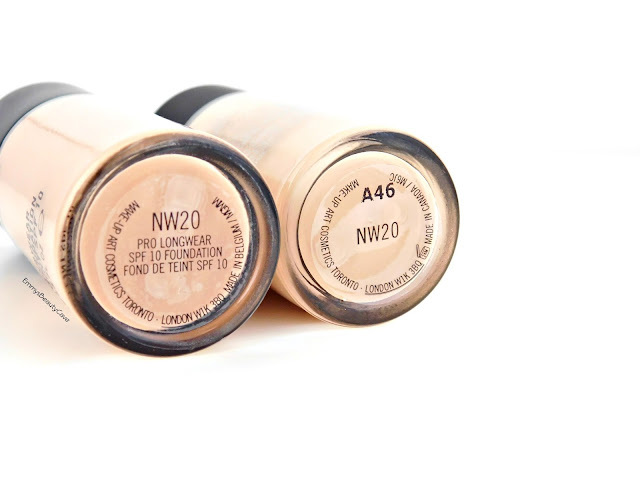 You would think NW20 in both foundation's would be the same. It is strange how MAC Studio Fix Fluid comes up alot darker so definitely be sure to try and swatch this in store. I still also find even though I get NW in the Studio Fix it still has a slight yellow tint which is rather annoying. Below I have swatched the NW20 in both Pro Longwear and Studio Fix and then I have also done swatches of the Pro Longwear NW20 against the Studio Fix NC20 to show how different the pink/yellow tones are. Definitely figure if your skin is more yellow toned or pink toned as it really does matter in MAC Foundations. Overall both foundations are perfect in different ways. For the days my skin is clear I love the MAC Pro Longwear Foundation and I can see myself still using it in winter. If I know im going somewhere special or just want a fuller coverage I will go with the MAC Studio Fix Foundation. The Pro Longwear retails for £25 whereas the Studio Fix retails for £22.00. I've been thinking about which one to get and you've made the decision so much harder! They both sound really lovely! I did like MAC Studio Fix a few years back. But now I find it to oxidise too much and the lightest shade is still too dark. I really want to try the new Waterweight one though. Great post! I've got the Mac studio fix (and I'm not sure it's just mine) however mine smells quite strongly of chemicals? Do you find yours does? It's a shame cos it puts me off usin it most days even though I love the coverage it gives. I've still never had a Mac foundation but thinking of investing in one... I'd probably end up going for the Pro Longwear one, it just looks like it wouldn't make me as orange haha! 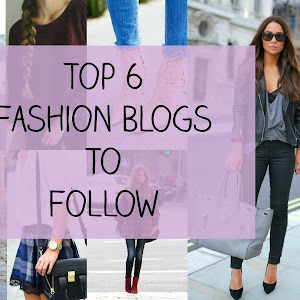 Fab post Em! I love my Studio Fix but then again I haven't tried any of the other MAC foundations. When I tanned a bit more than expected on holiday and had to change back to my Rimmel foundation until I could order a darker one I broke out all across my forehead but now I'm back on MAC it has nearly disappeared! Very odd! Especially since I used that foundation for years beforehand. I love Pro Longwear!! I need to stock up on this. I really want to try the new mac foundation too! I may have to go and raid my local store this weekend.